Come and experience arctic Alaska's village hospitality. Since 1983 the Airport Inn is been a home away from home for guests from all over the world. Located in Utqiagvik (Barrow), Alaska, the Airport Inn is a small 16-room local, Inupiaq family, owned and operated inn. We provide a clean, secure, and smoke-free facility. Our guests are treated like family and enjoy a complimentary continental breakfast each morning, featuring fresh homemade bread. Our second floor offers kitchenette rooms for light cooking. 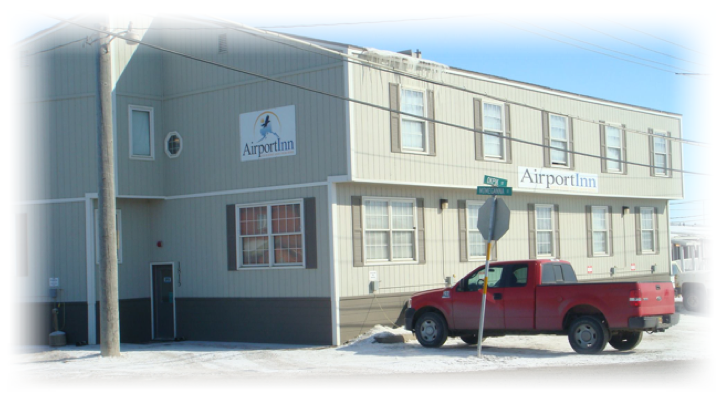 We are conveniently located 1.5 blocks from the Barrow Airport terminal (view Google map).